The method you select for welding pipe will depend on the location where the welding is taking place, materials and pipe size. For welding steel pipes in the open (e.g. 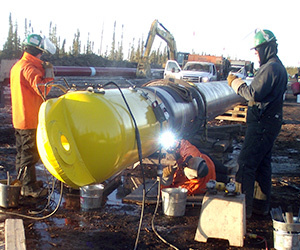 pipe installation in trenches), manual arc welding (SMAW) is most common. This technique used is downhill using cellulosic electrodes (also basic electrodes are used for higher strength steel applications). A root pass and a hot pass are followed by the fill passes. The weld is finalized by the top pass. 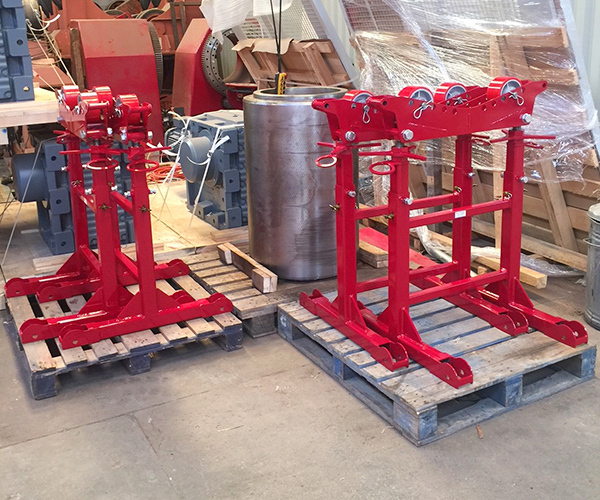 Welding units optimised for downhill welding are utilised. For small diameter and short length pipes which are free to rotate, the pipe is rotated while the welding torch is held stationary. The processes used are MIG (GMAW) and TIG (GTAW). In the case of TIG welding a wire feeder is necessary. A process cell is best for this type of welding. 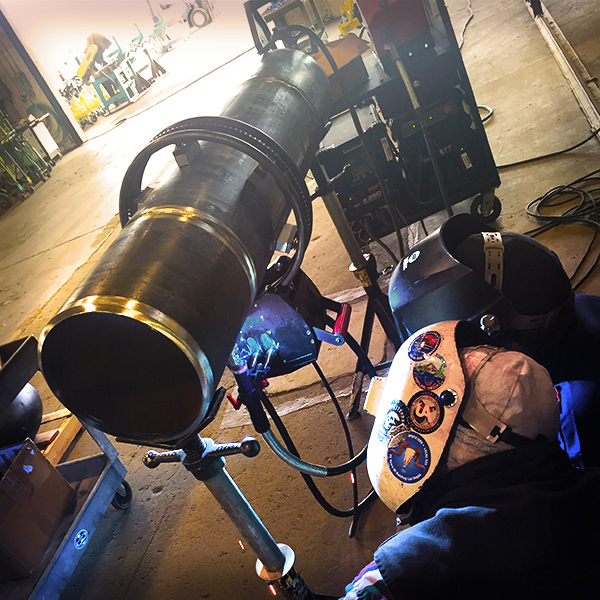 In applications involving larger pipe sizes, welding is generally carried out using the orbital process. 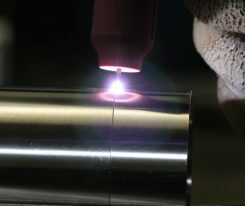 MIG is usually employed, but TIG with automatic feed of the filler wire can also be used. 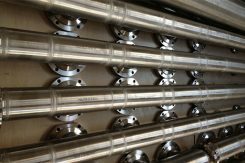 Orbital process using closed head welding units is also utilized for applications where smaller pipes cannot be rotated. There are a number of advanced methods of depositing pipe welds currently in use. 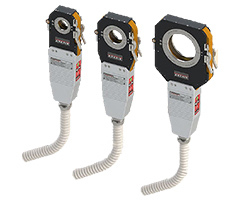 These include precisely controlled short circuit transfer for root pass (Miller – Regulated Metal Deposition), optimized pulsed welding (Miller – Pro-Pulse) and high frequency waveform control (Lincoln – Surface Tension Transfer) in order to speed up and improve the quality of the pipe welds. Have a look at our entire selection of pipe welding equipment which includes pipe cutters and bevelers.